On 1 February 2019, the US Secretary of State Mike Pompeo announced that his country had suspended its compliance with the Intermediate-range Nuclear Forces Treaty, or INF Treaty, and would withdraw from it within six months. 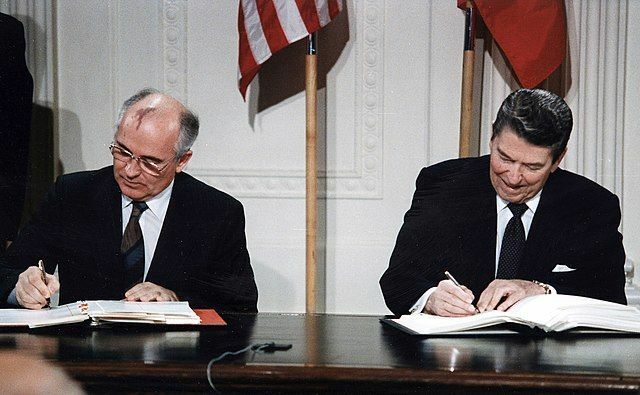 The INF Treaty, little known outside of arms control and disarmament circles, was a landmark Cold War agreement between the United States of America and the USSR – the first to ban an entire category of weapons (ground-based medium- and intermediate-range missiles). The US withdrawal, announced in dramatic terms by President Donald Trump in October 2018, followed the claim that Russia had recently developed and fielded a missile with performances forbidden by the INF Treaty. The end of this little-known treaty is not anecdotal. Not only will it further strain the US-Russia relationship and antagonise allies, it will also contribute to the erosion of what is left of the global arms-control architecture and incentivise arms-race behaviours among great powers. In a world where security is increasingly less a question of multilateral deliberation and rules-based interactions, the end of the INF Treaty is a further signal that missile technologies are again becoming a venue for competition between great powers: only this time, at least three are playing the game (United States, China and Russia) rather than two (United States and USSR). Additionally, missile technology proliferation has turned into a major dimension of contemporary battlefield realities, and missile programmes of countries such as Iran and North Korea continue to pose important diplomatic and non-proliferation challenges. Meanwhile, Europe is, by and large, left watching as its regional security architecture erodes. Welcome to what US National Security Advisor John Bolton recently termed ‘a multipolar missile world’. Control Regime (MTCR), transparency and trust-building mechanisms like the Hague Code of Conduct against missile proliferation (HCoC), and nuclear-related frameworks like the Joint Comprehensive Plan of Action (JCPOA or ‘Iran deal’) or the Non-Proliferation Treaty (NPT) Review Process. and European countries should work more with like-minded partners at both bilateral or multilateral levels on the challenges of non-proliferation and disarmament in the twenty-first century. The demise of the INF Treaty should therefore re-energise the debate on European strategic autonomy, help support collective capability building – not least in NATO – and prompt new discussions on stronger multilateral rules on missile development, use and proliferation.